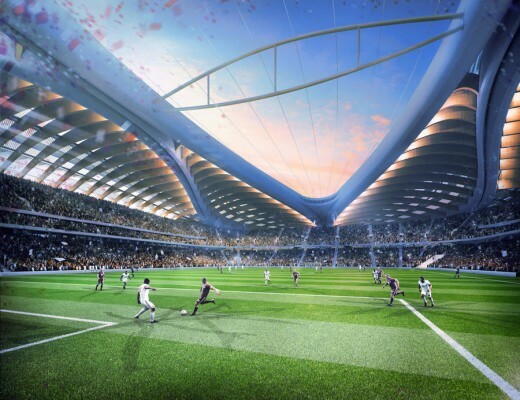 AL WAKRAH, QATAR: The Qatar 2022 Supreme Committee unveiled the new concept design for Al Wakrah Stadium. AECOM is a global provider of professional technical and management support services to a broad range of markets, including transportation, facilities, environmental, energy, water and government. With approximately 45,000 employees around the world, AECOM is a leader in all of the key markets that it serves. AECOM provides a blend of global reach, local knowledge, innovation and technical excellence in delivering solutions that create, enhance and sustain the world’s built, natural, and social environments. A Fortune 500 company, AECOM serves clients in more than 140 countries and had revenue of $8.2 billion during the 12 months ended Sept. 30, 2013. Zaha Hadid, founder of Zaha Hadid Architects (ZHA), was awarded the Pritzker Architecture Prize (considered to be the Nobel Prize of architecture) in 2004 and is internationally known for her built, theoretical and academic work. Each ZHA project builds on their thirty years of exploration and research in the interrelated fields of urbanism, architecture and design, integrating natural topography and human-made systems. ZHA’s project’s include the MAXXI: National Museum of 21st Century Arts in Rome, Italy and the London Aquatics Centre for the 2012 Olympic Games. Previous seminal buildings such as the Rosenthal Center for Contemporary Art in Cincinnati and the Guangzhou Opera House in China have also been hailed as architecture that transforms our ideas of the future with new spatial concepts and dynamic, visionary forms. ZHA is currently building cultural, sports, corporate, academic, residential and infrastructure projects in across Asia, the Middle East, Europe and the Americas, in addition to national institutions such as the new Central Bank of Iraq and master-planning projects in Beijing, Bilbao, Istanbul and Singapore. ZHA’s work has been the subject of critically-acclaimed exhibitions at New York’s Solomon R. Guggenheim Museum and London’s Design Museum. Zaha Hadid’s outstanding contribution to the profession continues to be acknowledged by the most world’s most respected institutions including the Forbes List of the World’s Most Powerful Women and the Japan Art Association’s Praemium Imperiale. In 2010 and 2011, her designs were awarded the Stirling Prize, one of architecture’s highest accolades, by the Royal Institute of British Architects. Further awards include UNESCO naming Hadid as an Artist for Peace, the Republic of France honouring Hadid with the ‘Commandeur de l’Ordre des Arts et des Lettres’, TIME Magazine listing Hadid as one of the ‘100 Most Influential People in the World’ and in 2012, Zaha Hadid was made a Dame Commander of the Order of the British Empire by Queen Elizabeth II. 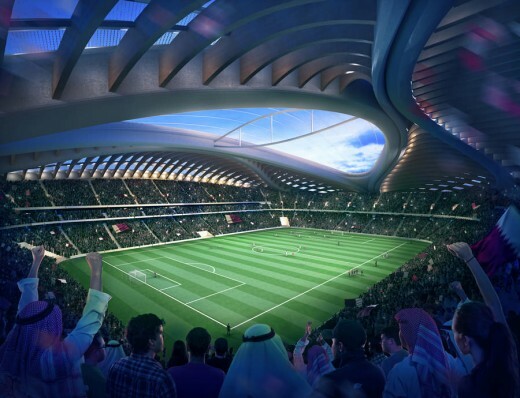 World Cup 2022: football cannot ignore Qatar worker deaths, says Sepp Blatter. However the FIFA boss sparked anger by saying there is ‘plenty of time’ to deal with issue, reports The Guardian. 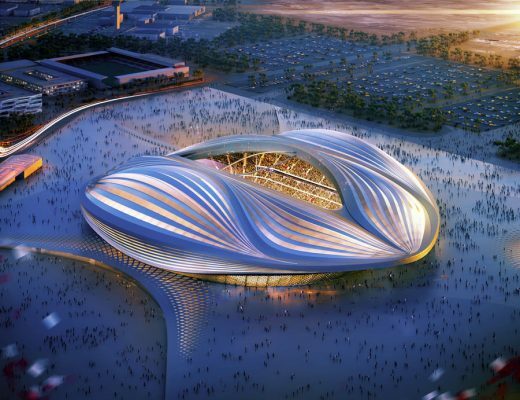 The FIFA President, Sepp Blatter, has admitted world football cannot “turn a blind eye” to the deaths of hundreds of construction workers in Qatar as the country prepares to host the 2022 World Cup.